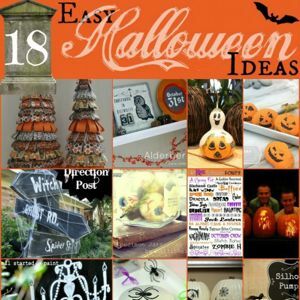 Your Halloween Mantels this year were so creative and fun that it was next to impossible to narrow down the ones I wanted to feature! I enjoyed visiting each and every one of you who linked up to the party. 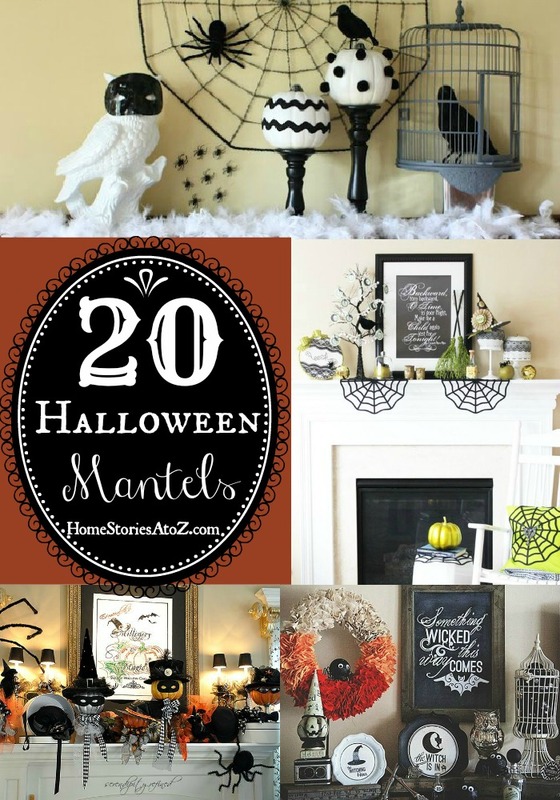 Below, are a collection of 20 Halloween Mantels that I thought you would enjoy; however, I strongly encourage you to visit the Halloween Mantel link party as well so you don’t miss a thing! Thanks to everyone who joined in the fun by linking up this year. Happy Halloween! 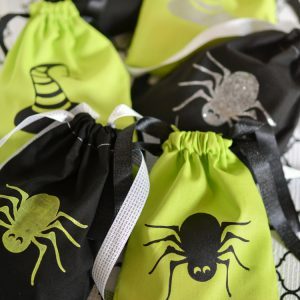 Lime green & Black Halloween Mantel by Positively Splendid. 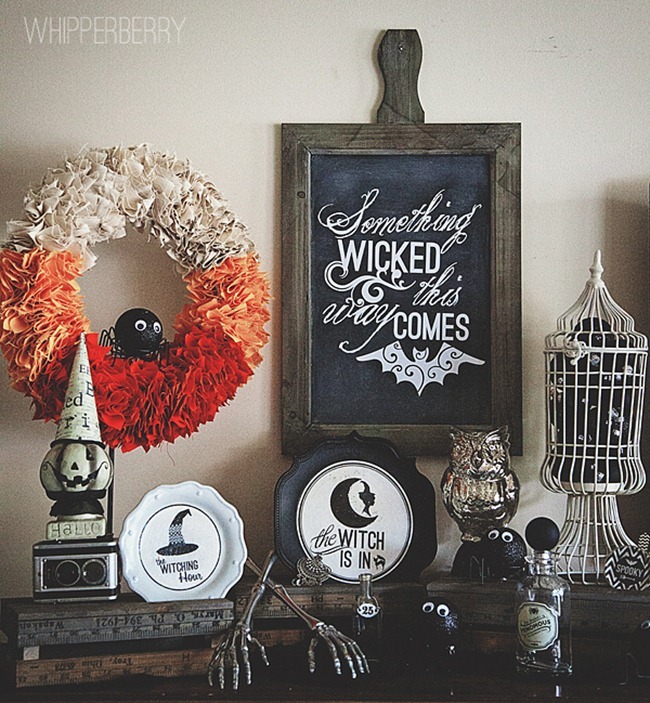 Witchy Glam Halloween Mantel by Flamingo Toes. 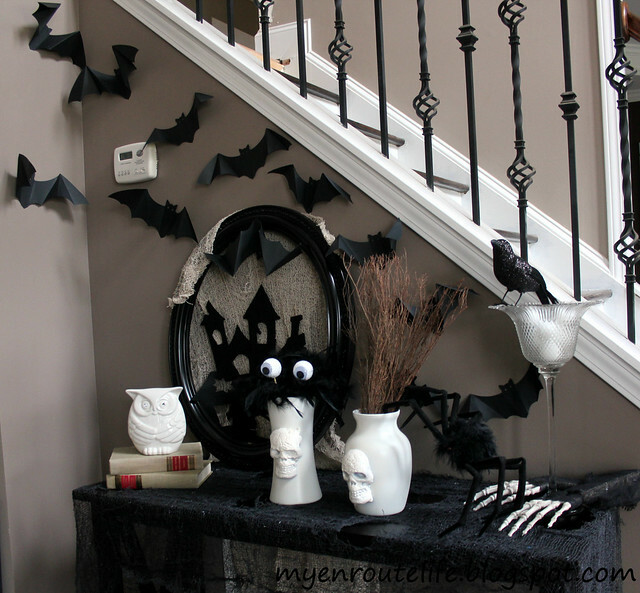 Silhouette Cameo Halloween Mantel by Whiperberry. 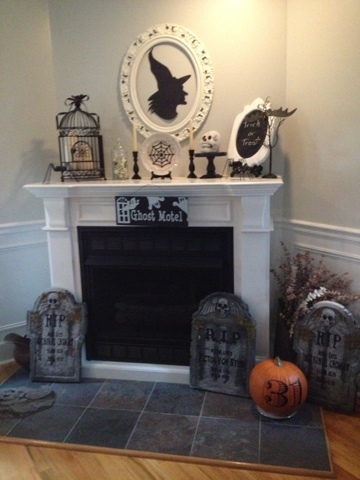 Black & White Halloween Mantel by Decorating Addict. 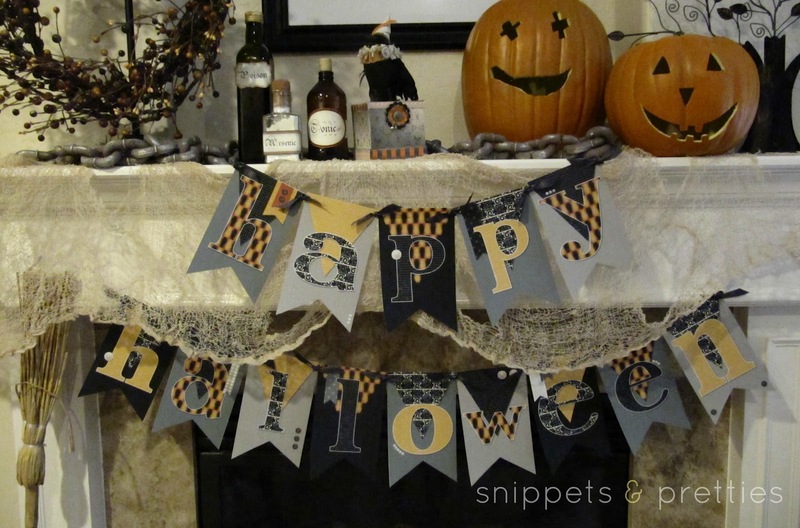 Happy Halloween Mantel by Snippets & Pretties. 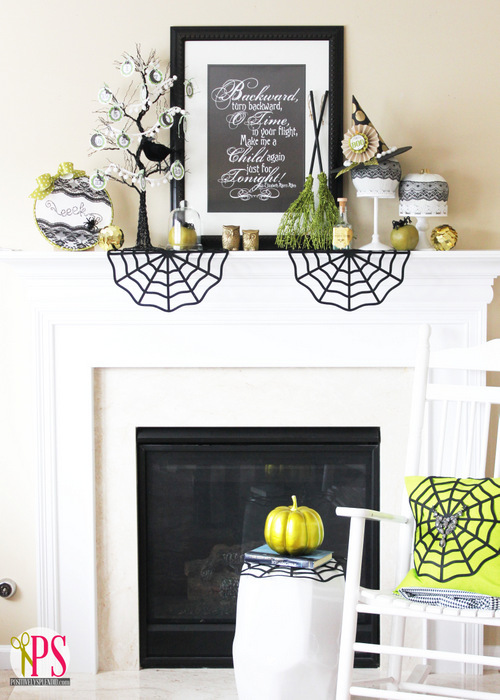 Kid-friendly Halloween Mantel by A Pop of Pretty. Spanish Moss Halloween Mantel by Sand & Sisal. 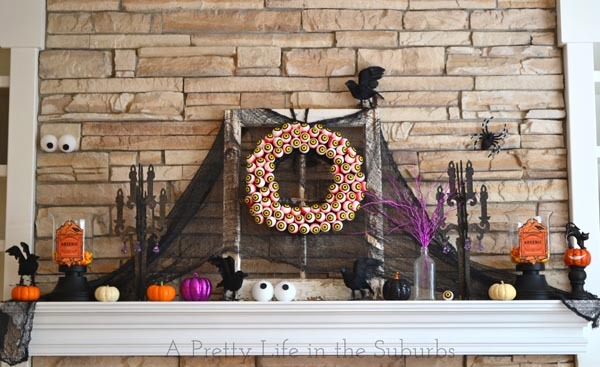 Spook Eyeball Halloween Mantel by A Pretty Life in the Suburbs. 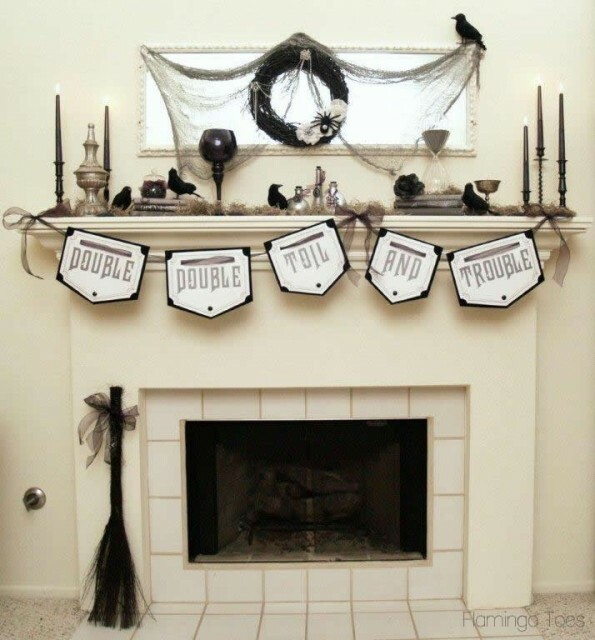 Boo Black & White Halloween Mantel by Hi Sugarplum. 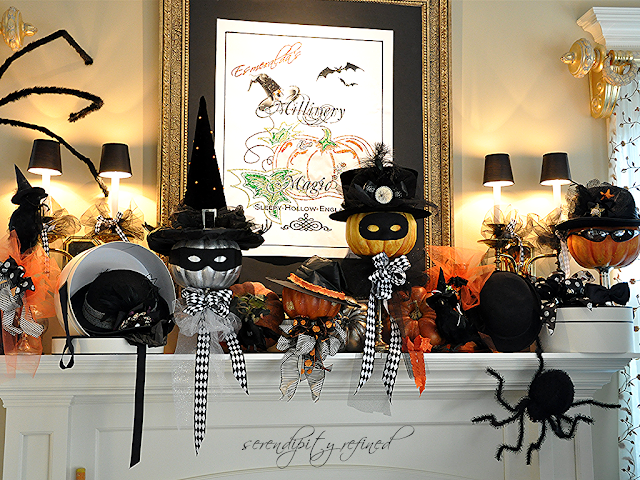 Orange & Black Halloween Mantel by Love of Homes. Halloween Tablescape by My Enroute Life. 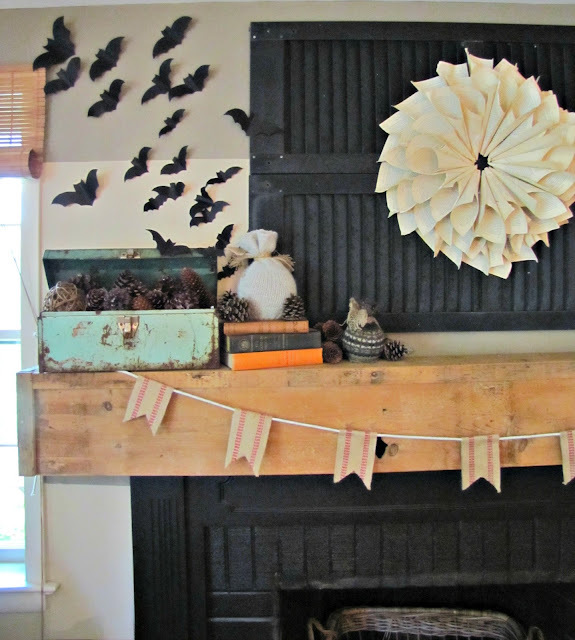 Fall & Halloween Mantel by The Painted Home. 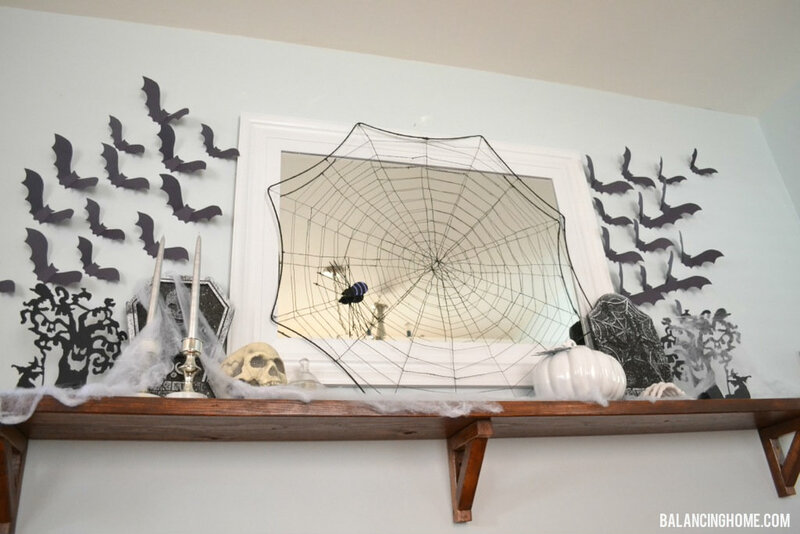 Spider Web Halloween Mantel by Balancing Home. Green & White Halloween Mantel by Grown from Scratch. Creepy Crawly Halloween Mantel by The Wicker House. 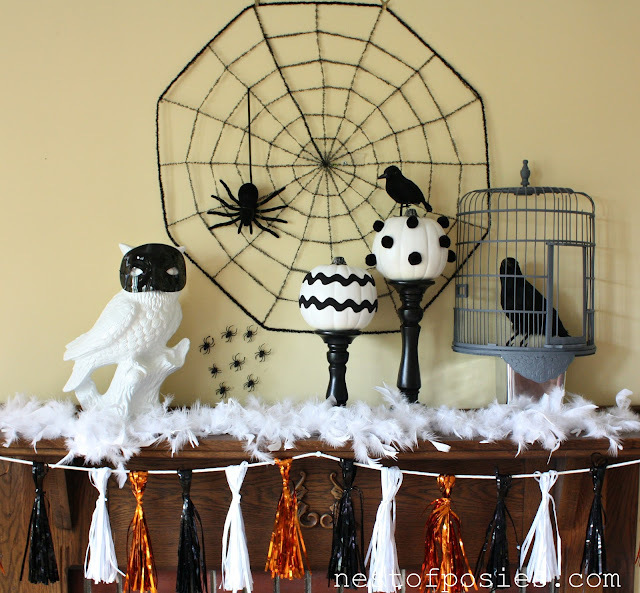 Owls, Spiders, & Birds Halloween Mantel by Nest of Posies. 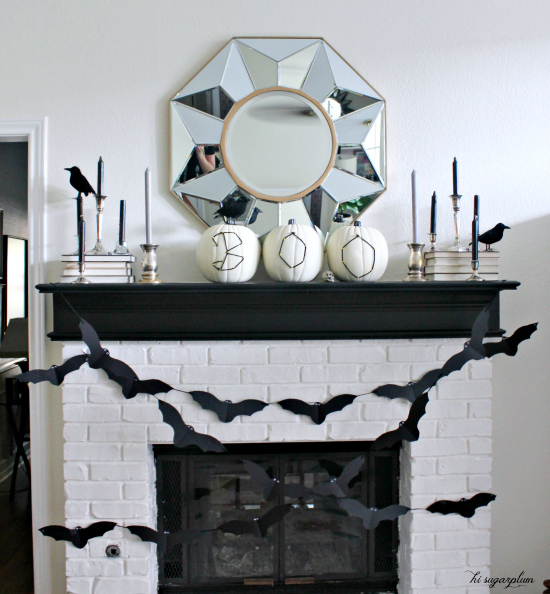 Black, White, & Gold Halloween Mantel by Just the Bee’s Knees. 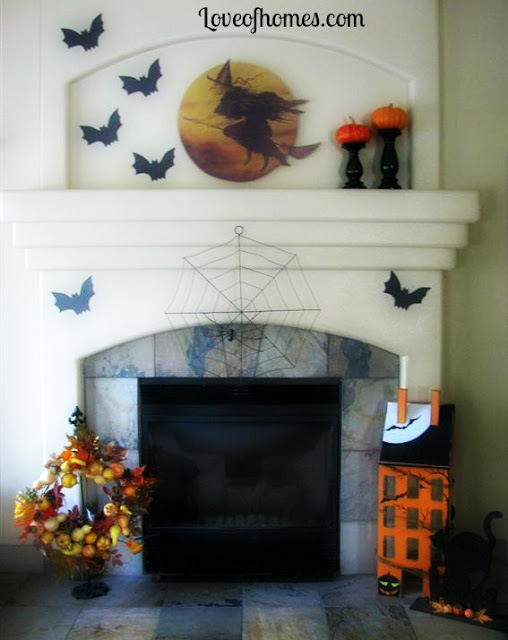 Hocus Pocus Halloween Mantel by Serendipity Refined. 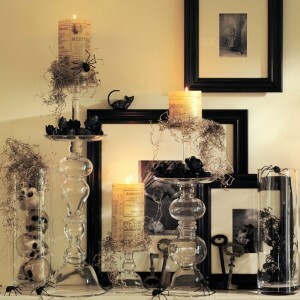 Enchanting Halloween Mantel by Finding Home. 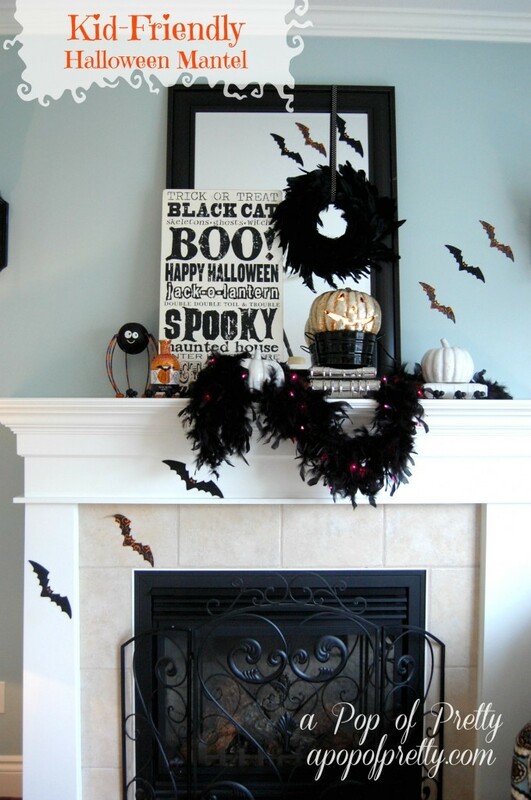 Vintage Victorian Halloween Mantel by Starshine Chic. « Giveaway Contest Winners and Sponsor Thank You! I love them all, though my favorite is the Snippets & Pretties! Thanks so much Beth for including my mantel in the round up. Such a great variety of styles. Loved all of them. 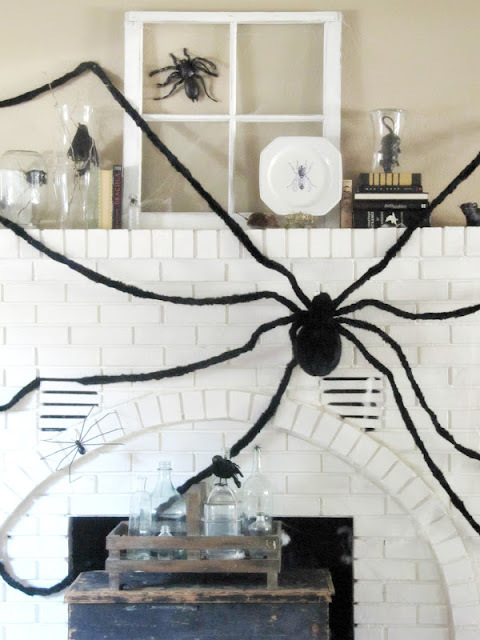 Thank you, thank you for all these Halloween mantel ideas! These inspired not only for my home but some spaces for my classroom!! Amazing ideas!! Thanks Beth! goodness, how in the world did you pick? they were all so good. i came back a few times to scroll through them last week. one of my favorite link parties of the year! thanks for the feature, beth! happy weekend! It was a challenge indeed! Fun problem to have though–so much awesomeness to choose from! Soo many adorable mantles. Thanks for the feature. Seriously, I feel this bloggy slump disappearing. Blogging slumps are the worst but we all go through them for sure! Glad to hear you’re coming out of one! All of the features are just wonderful! 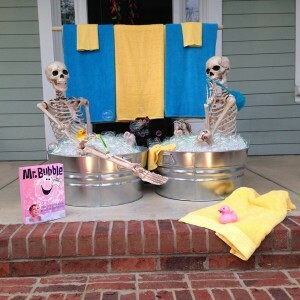 Maybe next year I will put one together…just lovin’ my fall one too much to change it up for Halloween and back to Thanksgiving. Or do you all go straigh tto your Holiday mantles? Hi Beth, It is just wonderful how much talent and creativity there is in blogland! All these mantels are fantastic! Beth! Thank you so much for including my mantel in this amazing roundup. They’re all so gorgeous! Thanks so much for sharing my mantel Beth – so funny, pretty much the same idea but interpreted in so many unique, creative and different ways. Quite a great group, I don’t think I could pick one favorite! Thank you so much for including my mantel in the list…there are so many wonderful ones! Thanks for all of the inspiration! What a fun selection of mantels!! I have inspiration for next year! They are all incredible! Love them! Wow — so many really great ones!!! Thanks for including mine, sweets! Thank you SO much for including my mantel in your round-up! I appreciate it so much Beth!